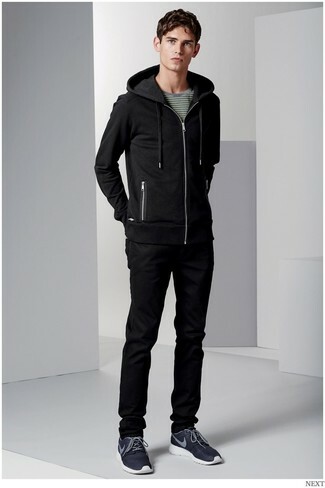 If you're a fan of relaxed dressing when it comes to your personal style, you'll love this knockout combination of a Karl Lagerfeld basic hooded jacket and black skinny jeans. You could perhaps get a little creative when it comes to footwear and spruce up your getup with brown leather chelsea boots. 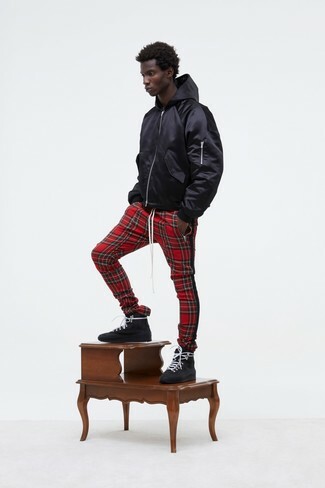 We're all looking for comfort when it comes to dressing up, and this combination of a Karl Lagerfeld basic hooded jacket from farfetch.com and red plaid sweatpants is a vivid example of that. Finish off this ensemble with black leather high top sneakers. 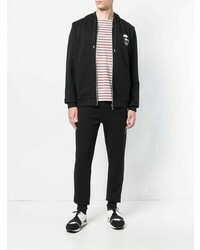 If you're scouting for a casual yet seriously stylish getup, marry a Karl Lagerfeld basic hooded jacket from farfetch.com with charcoal jeans. These two pieces are totally comfy and will look stunning when worn together. You could perhaps get a little creative in the shoe department and spruce up your look with brown leather casual boots. 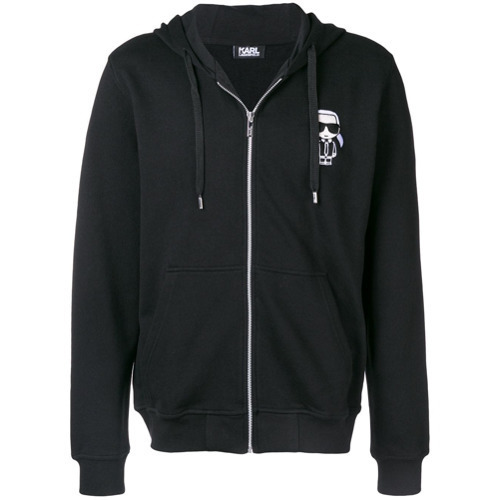 If you're in search of a casual yet stylish ensemble, rock a Karl Lagerfeld basic hooded jacket from farfetch.com with black jeans. These two garments are very comfy and they will also look great together. Break up your getup with more casual footwear, like this pair of navy athletic shoes. 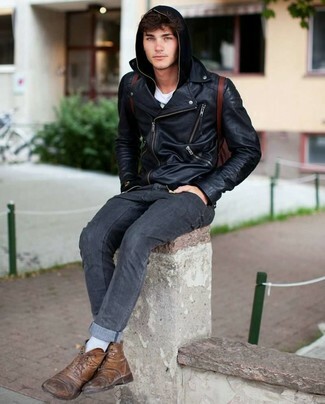 If you're on a mission for a casual yet dapper outfit, pair a black hoodie with grey shorts. As well as super comfy, these two pieces look fabulous when paired together. 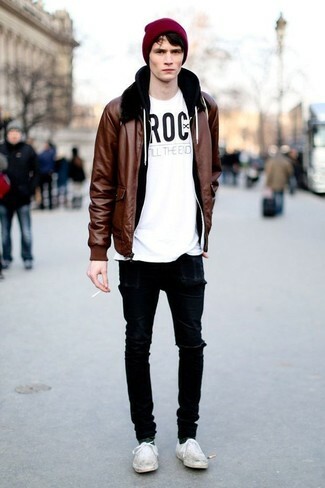 When it comes to shoes, this look is complemented perfectly with white leather low top sneakers. 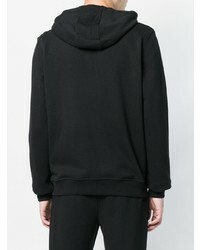 If you're a fan of relaxed dressing when it comes to fashion, you'll love this on-trend combination of a Karl Lagerfeld basic hooded jacket from farfetch.com and black skinny jeans. 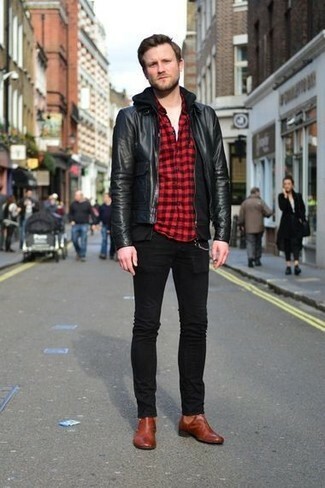 Let's make a bit more effort now and make black leather chelsea boots your footwear choice. If you're a fan of comfort dressing when it comes to fashion, you'll love this easy pairing of a Karl Lagerfeld basic hooded jacket and white sweatpants. Complement your outfit with black suede high top sneakers. 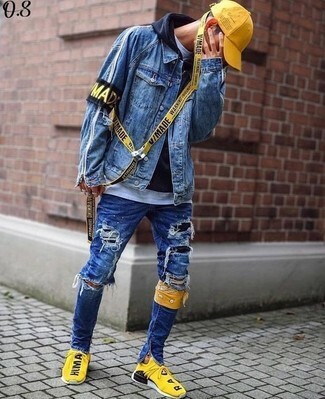 If you're all about feeling relaxed when it comes to dressing up, this combination of a Karl Lagerfeld basic hooded jacket and black ripped skinny jeans is what you need. Spruce up this outfit with white plimsolls. Choose a Karl Lagerfeld basic hooded jacket from farfetch.com and blue ripped skinny jeans, if you feel like relaxed dressing without looking like you don't care. Yellow athletic shoes work amazingly well with this ensemble.